What are the essentials of a jewelry box? And how should one acquire them? If I were following general conventions of expository writing, I would walk you through the essentials, then explain the acquisition, and then boil all of that information down to a prescriptive summation. But rather than allow a whole bunch of uncertainty to accumulate as you sift through my musings on the beauty of natural stones, harmonizing beads, and modern stringing of pearls, I will set out one clear rule right now: You should never buy a piece of jewelry unless you love it. Jewelry is the frosting on the cake . . . but unfrosted cake can be very delicious, too, so don’t feel compelled to buy or wear jewelry. Do keep in mind, moreover, that inexpensive and humble pieces of jewelry can engender love. One of my favorites is a little Delft tile brooch that was given to my best friend by her boss — a souvenir from a work trip to the Netherlands — more than 20 years ago when she was working as a curator’s assistant at the National Gallery. So read on, without trepidation! In earlier posts, I’ve written already about bracelets, brooches, and watches — though I reserve the right to return to these topics in the future, I won’t be discussing them today. Today, we tackle necklaces. I should begin by disclosing that I didn’t wear necklaces — eschewed necklaces — for many years because every time I put one on, I thought I looked like a female impersonator. But I always admired them on other women, and therefore strove to overcome that particular neurosis, and now wear necklaces regularly. Does this make me look like a female impersonator? Non, Directrice, non! Necklaces are tricky because they need to work on three levels. A necklace needs to be the right length, the right style, and the right scale to work with an outfit. It may seem like too much effort to thread that needle, but when a necklace works, the effect is so polished. 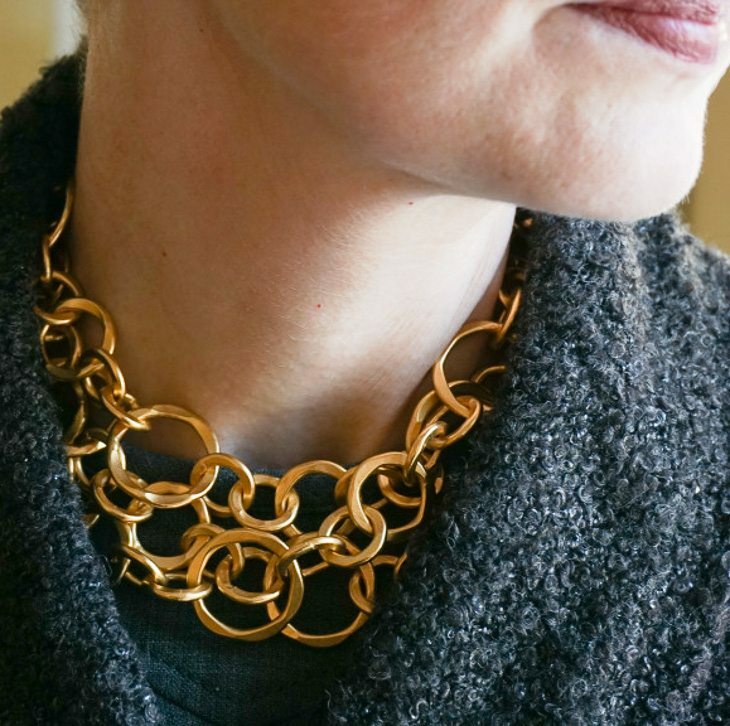 The key to achieving this result on a regular basis is to have a few necklaces — of different types — to meet the demands of various outfit contingencies. Pearls: It is incontrovertible that pearls are beautiful . . . although some are more beautiful than others. 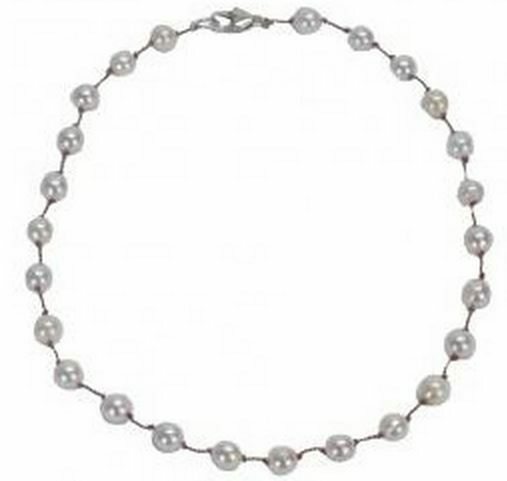 I would look for something modern, like pearls spaced at intervals (i.e., stations) on a silk cord or a few luscious South Sea pearls on a chain. 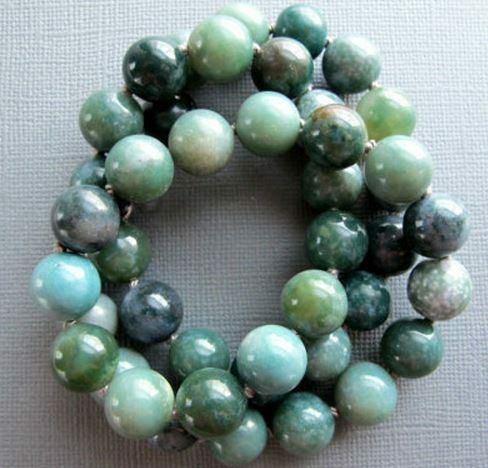 Natural Stone Beads: I love natural stone beads like agate, turquoise, coral, and rose quartz. If you visit a site like Beadian Jewelry Supplies, and look at all the amazing colors and patterns, perhaps you will understand my enthusiasm. When I say, “make a necklace” I mean “find someone to make a necklace for you.” Etsy is an excellent starting point. The genius of beads like this is that they inject a bolt of color (vibrant, harmonizing, or contrasting) into an outfit, so charmingly. What could be prettier, for instance, than turquoise beads with a white dress and vachetta sandals in the summer? 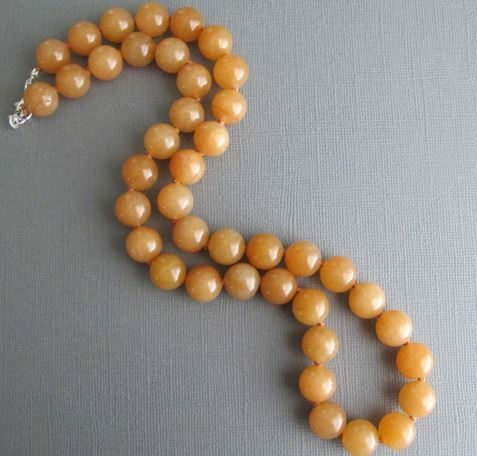 Bright orange beads with a grey linen top? 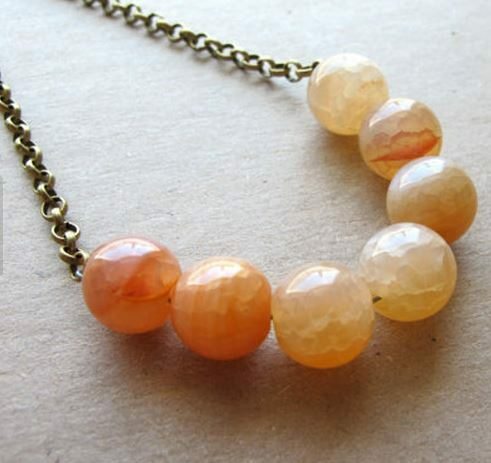 Pale pink beads (rose quartz) with a bright pink sweater? Gold: Gold is so expensive — so I suggest gold-plate — but sometimes a gold tone is just the perfect accent. I like gold with grey. Wood or Horn: Wood and horn look beautiful with linen and cotton. These natural materials are beautiful, and can be dramatic, but I don’t think of them as formal. I wouldn’t wear them with business attire or even clothes on the dressier side of business casual. For a special treat (it is the weekend), you may want to check out the designs of Dandi Maestre. They are dramatic and I am a little beside myself admiring their beauty. A Sparkly Pendant: In the best case scenario, the sparkly thing would be a diamond, but diamonds are expensive. In truth, I don’t think you need to buy the world’s best diamond (let’s be accepting of flaws), but I also like crystals and other sparkly substitutes. 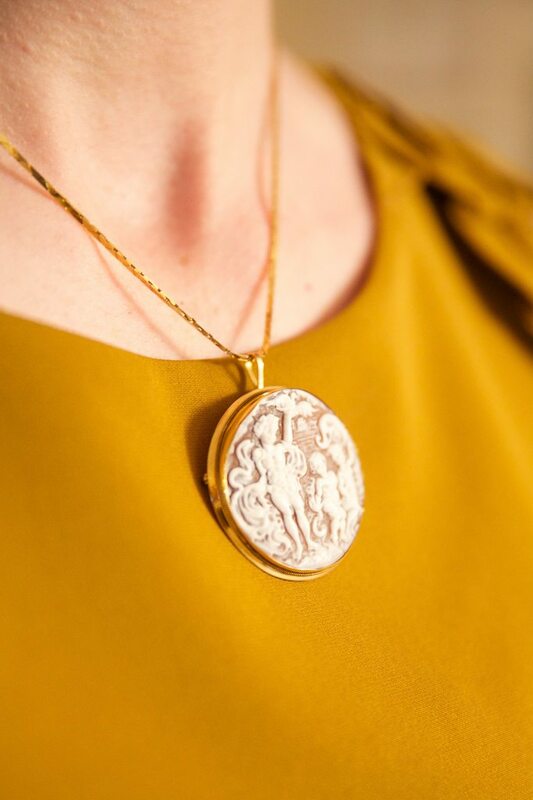 A Locket or Cameo: Sometimes an old-fashioned piece of jewelry is just the right touch. It needs to be worn, however, with modern clothing. I wouldn’t pair a cameo with a high-necked Victorian style blouse. 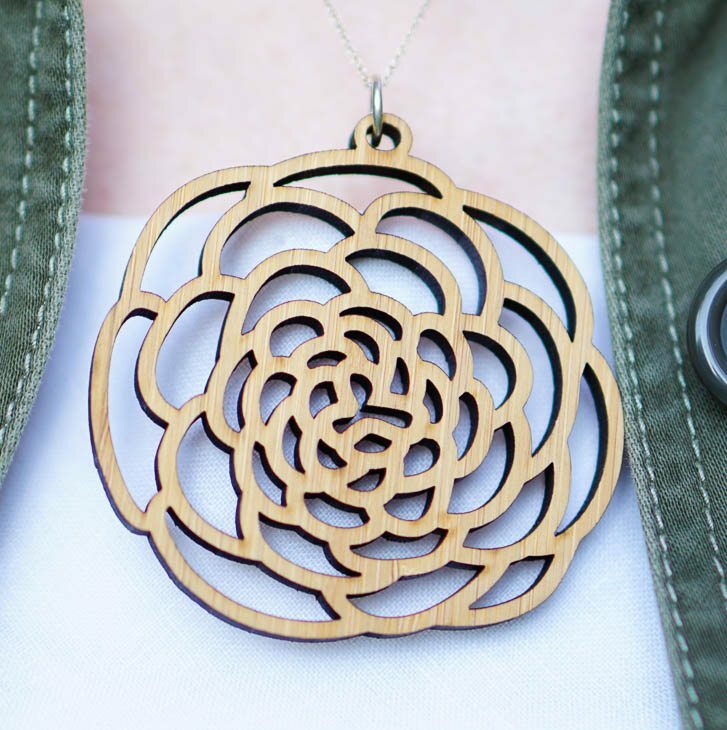 Something that Causes Them to Look, Look Away, Look Back, and Then Gape: I’ve written a whole post on conversation-stopping necklaces. 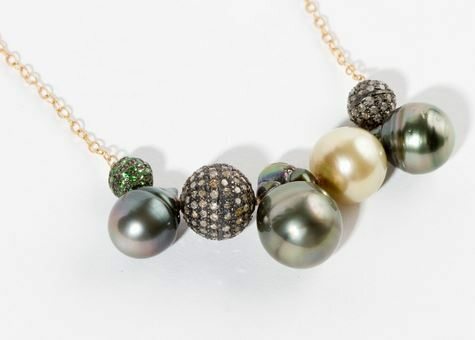 You may find one or two necklaces that actually fit into more than one of these categories — e.g., a sparkly pendant on a gold chain or a link necklace that includes pearls. 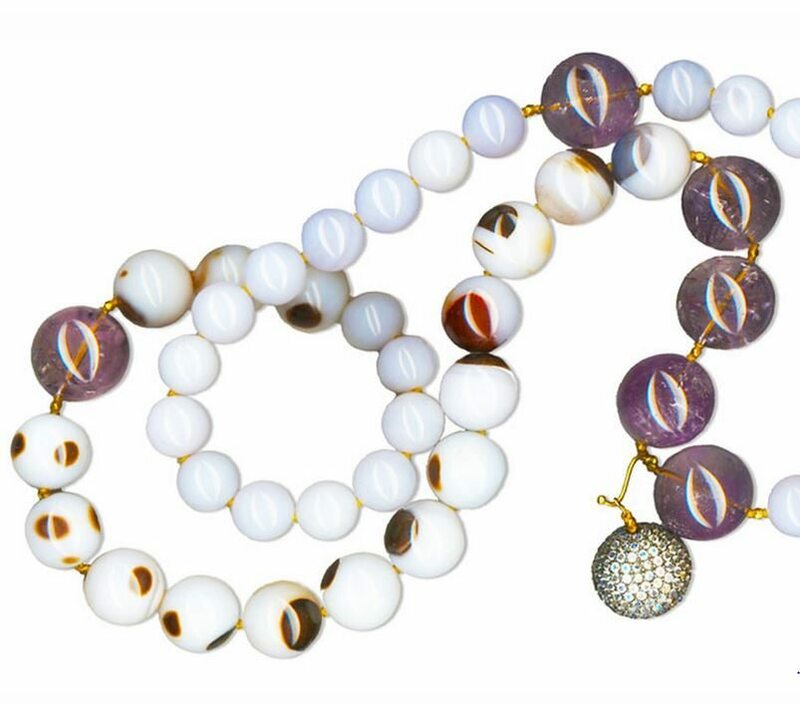 In selecting a necklace, the length is important — but keep in mind, the length can often be adjusted by a jeweler. The right length depends upon the neckline that the necklace will adorn and the shape of your face. 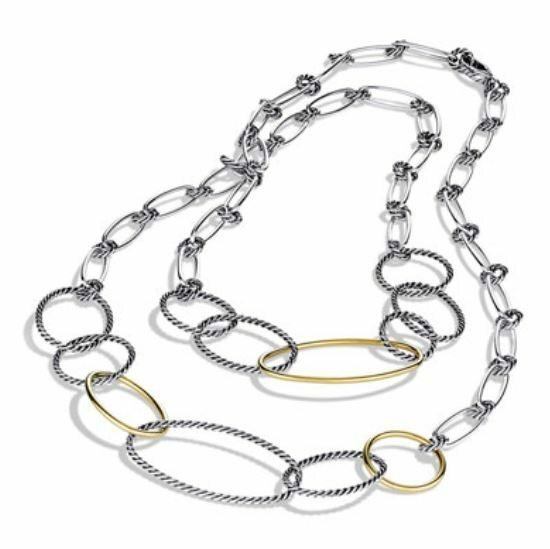 I like short necklaces (16″) and necklaces that can be doubled or tripled; I believe these work well with my stature and the round necklines I favor. But you tell me: If you could only have two or three necklaces, what would type would they be? Great advice. I love to buy jewelry – and I do prefer necklaces – when I travel. That way I end up with pieces that are (usually) unique, handmade, and bring back fond memories every time I put them on. When I’m looking for something specific, I turn to Etsy, although it is so often overwhelming to navigate. The added bonus is that both options are often better quality than what I’d find at a similar price point in department stores here; so much plastic costume jewelry ends up looking cheap and even juvenile. Directrice – now I want the Delft tile brooch back! On the other hand, buy me that Janis Provisor necklace and we’ll call it even. Why did you feel like a female impersonator wearing necklaces? Please explain! I no longer feel like this. 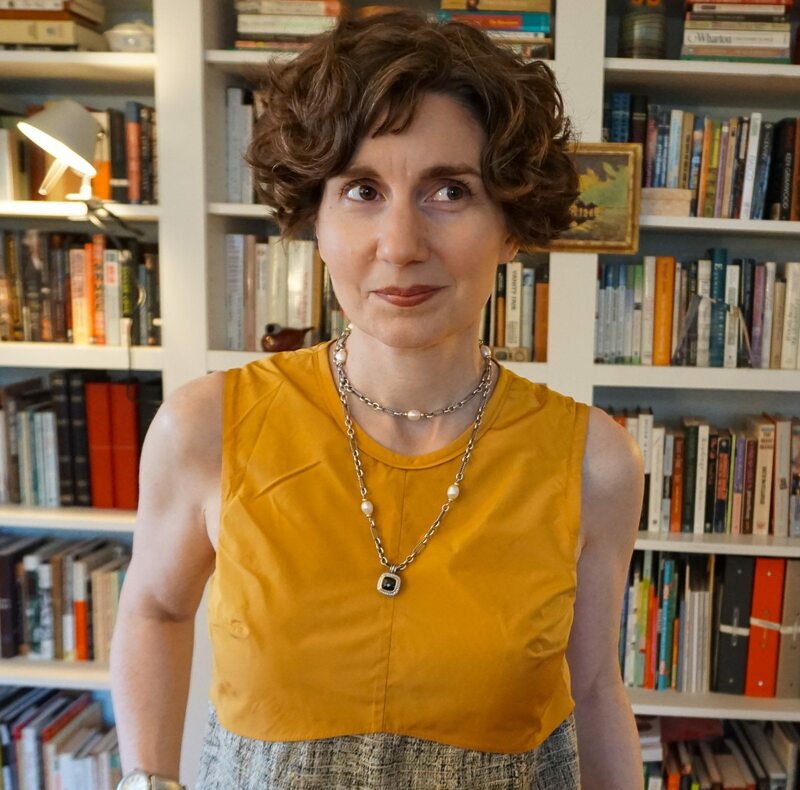 I didn’t wear jewelry in high school or college and when I started wearing it in my 20s (or tried wearing it), I felt like I was playing dress up — trying to look like something I wasn’t and perhaps not succeeding. I shared this concern with a co-worker, who was also a good friend, and her reaction was, “You are ridiculous!” — which was extremely helpful to me. I think I understand – the jewellery felt too consciously feminine or costume-y? I feel like that often in certain dresses, usually those that are very pretty. Directrice — I seem to recall seeing a David Yurman necklace and one of your posts a while back, but it was never mentioned and it seems to have disappeared. Did I dream it? I was perusing some older Directrice posts this morning — while hiding out from the rest of the household. I’m so glad that I took another look at this post and the comments. I hadn’t seen the Directrice’s note about Jacqueline Kennedy tucking necklaces inside necklines or under jackets. 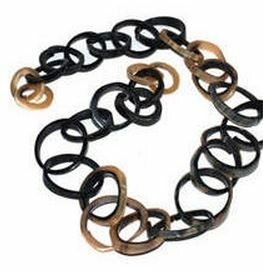 Not only do I find necklaces tricky because of all the variables one has to consider (style, color, length, scale), but I also find them to be too busy around my face; I think they compete with my eyeglasses. The Jackie O tip of a discreet hint of necklace might just work for me.